We all hate spring allergies. But people in these 10 cities hate them the most. The Asthma and Allergy Foundation of America just released their list of the “most challenging” cities in America for spring allergy sufferers. The study ranked the 100 most populous cities in the U.S. based on average pollen scores, rate of allergy medication usage and availability of board-certified allergists. But fret not. While these are the 10 worst cities for allergies in the nation, each offers a myriad of great indoor activities and family fun in each locale without having to expose yourself to the elements. At St. John’s Church in Richmond in 1775, Founding Father Patrick Henry proclaimed, “Give me liberty or give me death.” If he were around today, he might have instead asked you to give him a tissue. Richmond’s subtropical oceanic climate can cause excess humidity and exacerbate allergies. 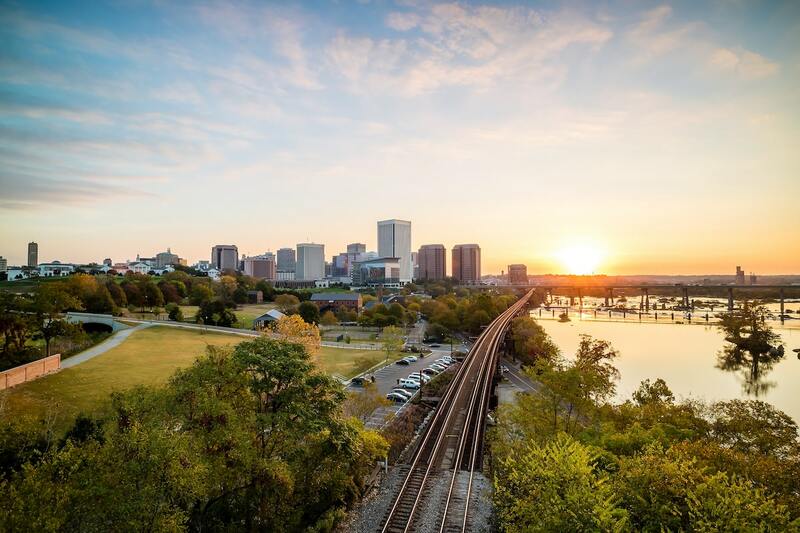 But as Virginia’s capital city, Richmond has plenty of indoor activities to offer allergy sufferers including the Virginia Museum of Fine Arts, the Science Museum of Virginia and the Children’s Museum of Richmond. You can also hit the eateries to grab local fave the sailor sandwich, made with pastrami, knockwurst, Swiss cheese and mustard on rye. Then come sleep off your food coma at home, where a one-bedroom rental averages $1,066 per month. It’s probably not surprising that life in the Louisiana bayou comes with its share of allergy issues. In fact, Baton Rouge is the fifth-rainiest city in the U.S., never a good sign for those with mold and waterborne allergies. Even with a plethora of willow, bayberry and ash trees populating the area, pollen levels are close to normal but a large number of residents rely on allergy medication. However, as any good Louisianan knows, as the heat and humidity begin to rise, indoors is the place to be. Plenty of family and cultural attractions are available, like the Shaw Center for the Arts and its LSU Museum of Art, the Louisiana Art and Science Museum and Pennington Planetarium, as well as the Louisiana State Capitol. 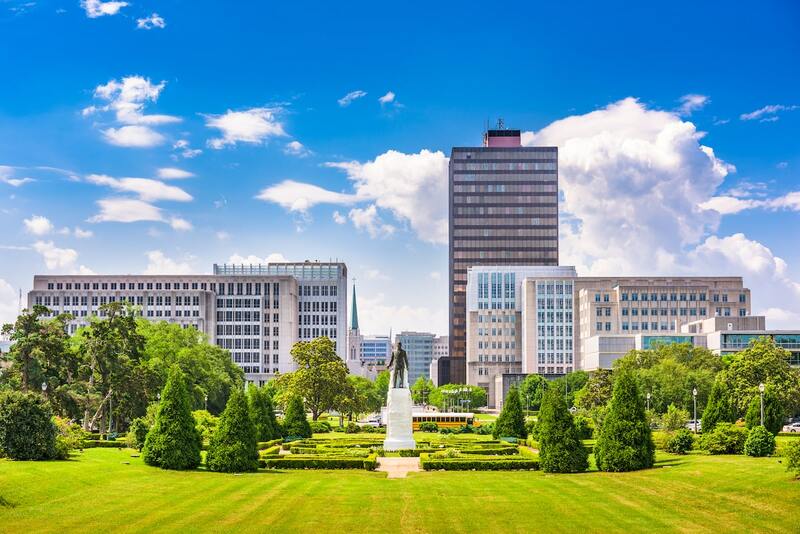 Grab your favorite antihistamine and hit the popular Baton Rouge Zoo or have a day at the ballpark with the six-time NCAA champion LSU Tigers at Alex Box Stadium. Continue your post-game celebration at home, where $903 a month is the average for a one-bedroom apartment. As a town built on coal mining and steel manufacturing, Scranton has never been a bastion of respiratory health. 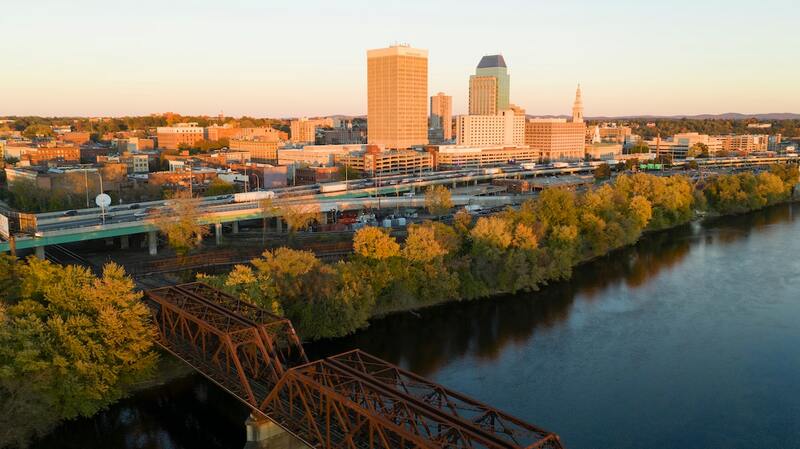 But Joe Biden and Jim Halpert’s hometown has come a long way from its industrial days, reborn as a transportation and technology hub nestled in the Lackawanna Valley. Come spring, that valley traps pollen and allergens from the swaths of birch and dogwood trees up the road in the Poconos. Humid summers and cold mountain winters have helped the Electric City develop an array of wonderful indoor attractions to escape the sneezing. 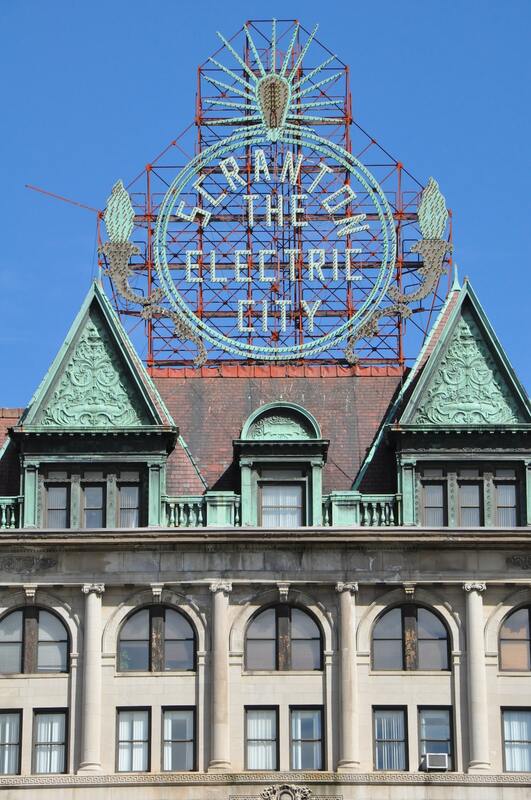 If you’re a fan of The Office, you might already be familiar with sites like the Steamtown Mall, the Lackawanna Coal Mine and Anthracite Heritage Museum. And if you get hungry on your The Office tour, hit up real-life grub spots favored by Dunder-Mifflin employees like Alfredo’s Pizza Café, Cooper’s Seafood and Poor Richard’s Pub. And even Creed Bratton has to pay an average of $1,039 for a one-bedroom in Scranton, just not on the black market. New Orleans is a lot of things. Wild, delicious, historic, debaucherous and beautiful. It’s also hot, humid, low, full of vegetation and full of tourists. As seen after the floodwaters of Katrina began to recede, New Orleans’ “bowl” traps pollen, dirt, dust, dander, insects and other detritus, weighed down by the humidity and below-sea-level elevation. If you’re not used to sticky New Orleans weather, it can be overwhelming. But everyone still wants to visit New Orleans, of course. So, if you need to escape the allergens and humidity, what could possibly be better than taking yourself on a self-guided New Orleans restaurant tour? 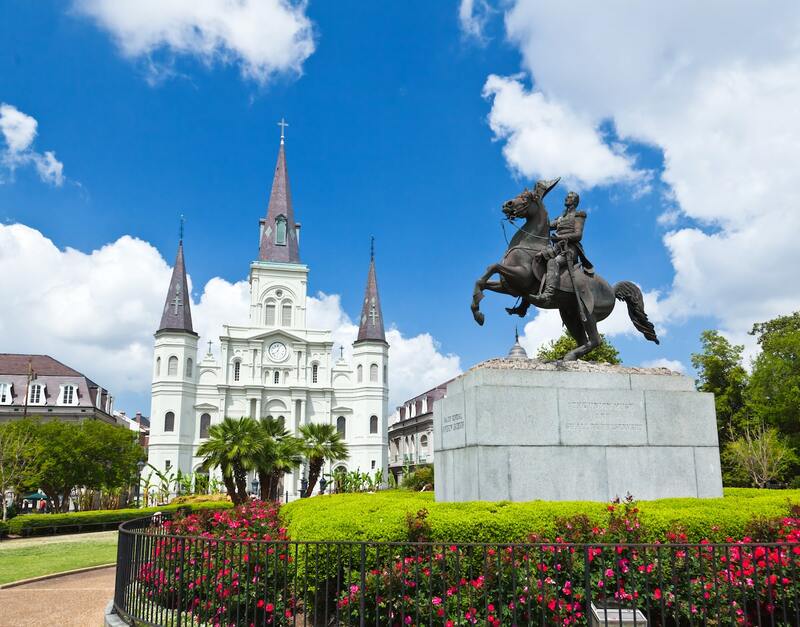 Hop in an air-conditioned Uber and grab a bite at some of New Orleans most famous and favorite spots like Mother’s, Willie Mae’s Scotch House, Dooky Chase, Brennan’s and Boucherie. Then, finish your evening as night falls with a Cafe du Monde chicory coffee and beignets. Want to live in Crescent City full time? An average of $1,498 per month will get you a cozy one-bedroom where you can les bons temps rouler. It doesn’t take an anesthesiologist to deduce that a city in the heart of The Bluegrass State, famous for its lawn variety and wild grasslands, isn’t the most comfortable for allergy sufferers. And if you also happen to be allergic to pet dander, you have all those thoroughbred racehorses to deal with. Louisville is the largest city in the state, which means a lot of Kentuckians with allergies, but you don’t have to be native son Muhammed Ali to fight your way to knocking out sinus congestion. Fortunately, for a city most famous for the Kentucky Derby where 170,000 people stand outside all day, there’s plenty to take you indoors away from bluegrass-inducing hay fever. 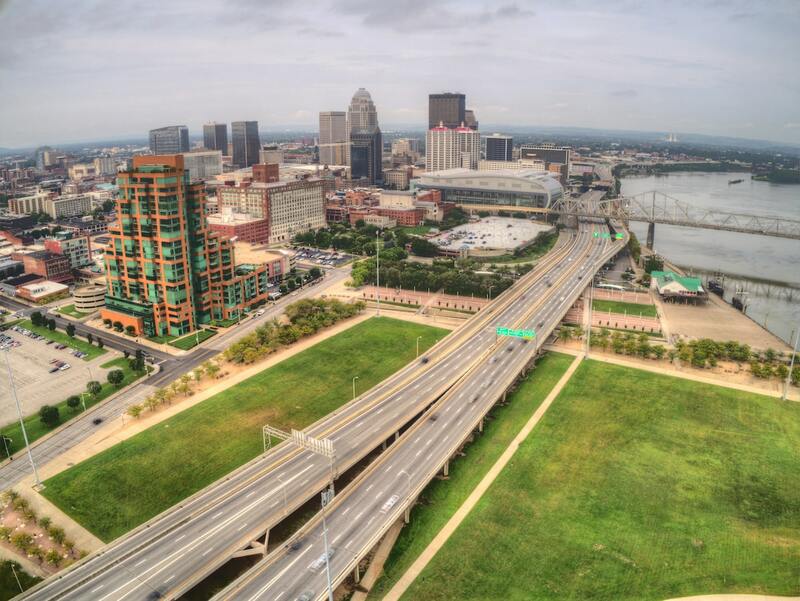 Louisville abounds with museums and galleries for the whole family including the Kentucky Science Center, the Kentucky Museum of Art and Craft, the Muhammad Ali Center and the Speed Art Museum. And you can’t visit the ‘Ville without a stop at the Louisville Slugger Museum and Factory and one of Louisville’s 18 KFC locations. You’ll have to snag 955 chicken minis off the dollar menu to equal the monthly average price for rent in town. Springfield’s location deep in the lower Pioneer Valley is both the cause of its beauty and its rampant spring allergies. Because of its geography, air pollution sits heavy over the valley, trapping allergens and carbon dioxide. The more carbon dioxide in the air, the more pollen there is, which means that pollen is more allergenic. Springfield is the only city in the U.S. listed in the top five for worst spring allergies and worst for asthma. In fact, Springfield sits atop the asthma list at the worst in the country. Like the game James Naismith invented in Springfield in 1891, the best action happens indoors, away from that pesky CO2. The primary attraction in town is obviously the Naismith Memorial Basketball Hall of Fame and Museum, where you can live out all your hoop dreams. But indoor activities in Springfield don’t end at the foul line. The Quadrangle in Metro Center is home to six distinct museums – the Smith Art Museum, the Springfield Science Museum, the D’Amour Museum of Fine Arts, the Wood Museum of Springfield History, the Dr. Seuss National Memorial Sculpture Garden and the Amazing World of Dr. Seuss Museum. And enjoy your nightlife in the Club Quarter entertainment district, featuring clubs, bars, music venues, movie theaters, coffee houses and more than 75 restaurants. At the end of the night, you can curl up in your Michael Jordan sheets in your one-bedroom apartment, which rents for an average of $2,234. With a ranking this high on the list of worst cities for spring allergies, it’s no wonder people in Memphis have the blues. Memphis (and much of Tennessee) has been well-known as a hotspot for high instances of seasonal allergies. The Mississippi River valley and Memphis’ bluffs often keep winter’s cold temperatures in place longer, and when the warm weather hits, plants and trees explode with their pollen load. Any long-time Memphian will tell you of the color change to every car in town as the green pollen piles up. But with all the incredible music, food and drink available around every corner in Memphis, you won’t have to stay outside in the pollen fallout long. Join the ghosts of Elvis, Carl Perkins and Johnny Cash on a tour of Sun Studio or take in all of the gaudy wonders at Elvis’ home at Graceland. For a live music experience, come inside into any of the legendary blues, soul and country clubs and juke joints along Beale Street like Rum Boogie Café, Silky O’Sullivan’s, Coyote Ugly Saloon and B.B. King’s Blues Club. For some different indoor adventure, pop on over to the Peabody Hotel to watch the twice-daily procession of the ducks or visit the world’s largest Bass Pro Shops inside the Pyramid where the NBA’s Grizzlies used to play. 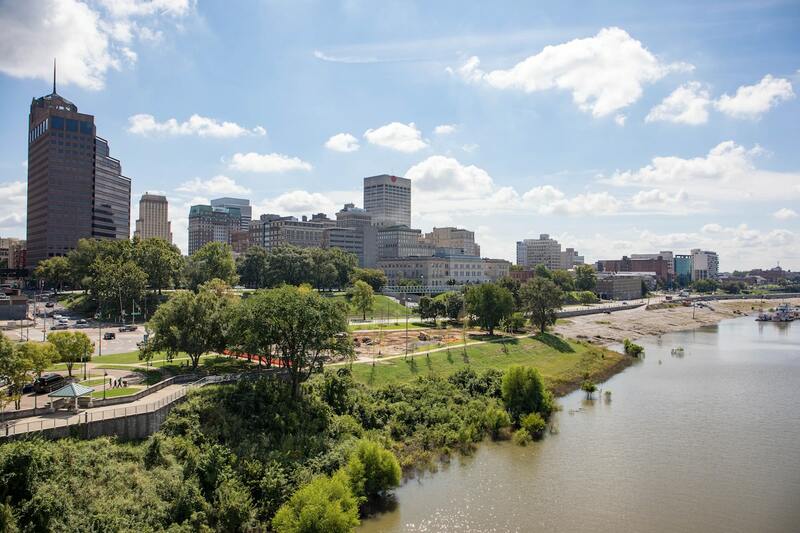 Ducks, grizzlies and you will all pay an average of $973 for a one-bedroom in Memphis. 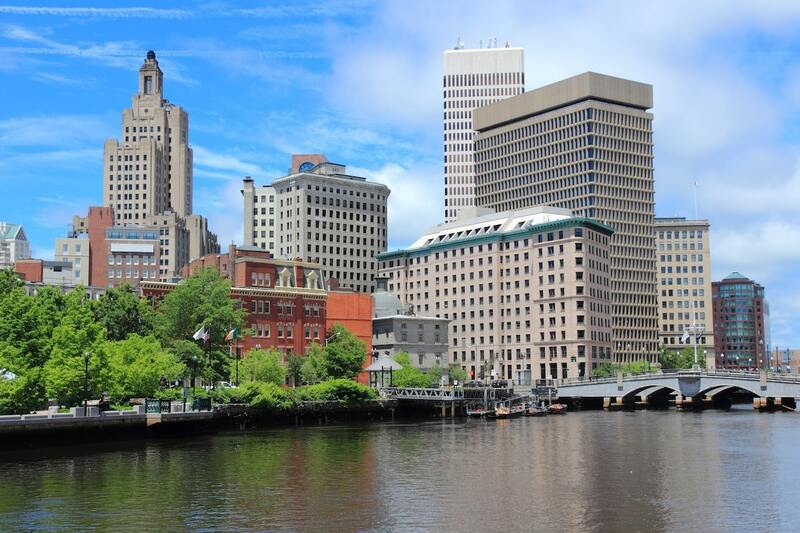 From the moment city founder Roger Williams was exiled from the Massachusetts Bay Colony in 1636, Providence has played second fiddle and little sister to Boston up the road. But one thing the Divine City has over Beantown is nastier spring allergies. Each year, Southern New England suffers from a pollen “big boom” from the region’s plentiful birch and oak trees. As the worst allergy city in the northeast, it’s enough to make you want to ship up to Boston. Despite the prevalence of outdoor, waterfront and marine activities popular in Providence, there are plenty of climate-controlled activities in this city, one of America’s oldest. To escape the pollen, hit up some of Providence’s coffee and donut shops, the most per capita of any city in the country. Need something heartier, like clam cakes or hot wieners? No problem, as Providence has the highest rate of restaurants per person among major U.S. cities. Work off all that food and coffee by touring the dome of the State House, the largest marble dome in the world after the Vatican, and the immense collection at the Rhode Island School of Design Museum. For coffee and donuts at home, even Peter and Stewie Griffin would shell out an average of $1,702 for a one-bedroom rental. The good news is Jackson, the worst allergy city in America as recently as 2015, is no longer in the top spot. The bad news is it’s still number two. Jackson has an abundance of severe pollen-producing trees, with red cedar, hackberry, elm, willow and poplar being the worst offenders. Additionally, large grass areas, reconstruction sites covered in weeds and mold borne of heavy winter and spring rains only exacerbates the issue. But Mississippi’s capital city offers plenty of indoor activities away from creeping mold and pollen. 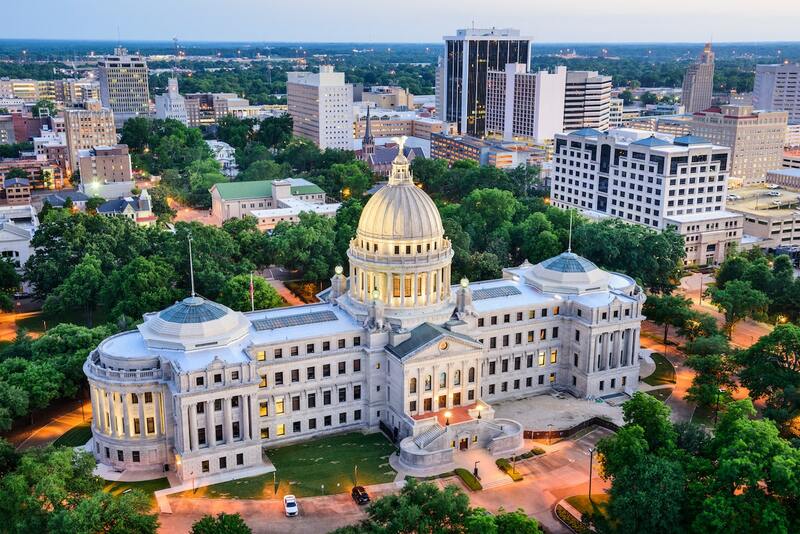 As both the state capital and an important city in the Civil Rights movement, history can be taken in at sites including the Mississippi Governor’s Mansion, the Mississippi Museum of Art, the Mississippi Museum of Natural Science, the Oaks House Museum and the Civil Rights Museum. Jackson is also steeped in music history, with clubs and bars throughout downtown offering nasal-congestion-free blues, gospel, folk, and jazz. And at an average of $1,003 a month to rent a one-bedroom apartment, the price may be music to your ears. McAllen might only be the 22nd biggest city in Texas, but it’s number one in the U.S. for worst spring allergies. This Texas/Mexico border city checks all three boxes of factors in the ranking, with higher than average pollen, higher than average medicine use and lower availability of board-certified allergists. The Rio Grande Valley is home to a proliferation of Mountain Cedar trees, a species known to release an excess of pollen. This, plus a Texas climate ripe for mold and pollen survival aggravated by predominant northerly winds, and you have a recipe for the most challenging city in America for allergy sufferers. 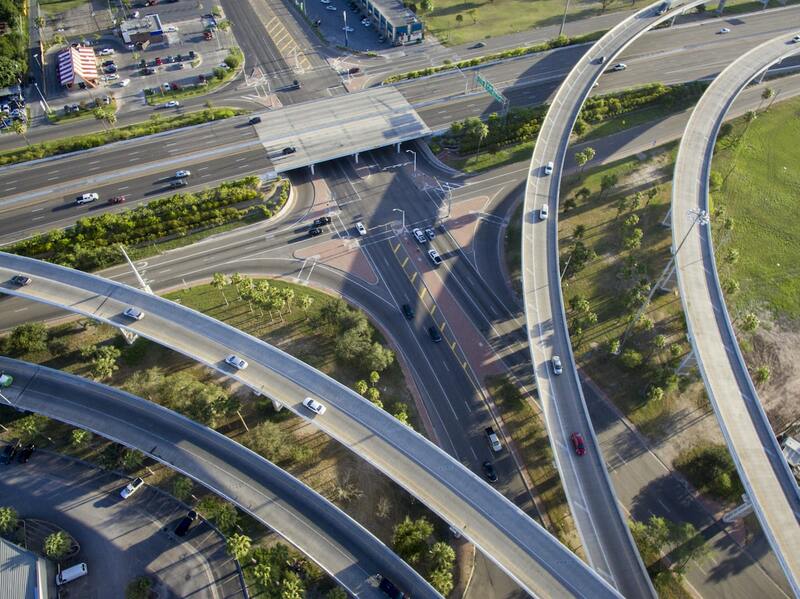 While the city is known for its binational tourism and its rich agricultural past, McAllen has grown into a thriving, modern city with plenty of indoor fun for all ages. Hide away from the Texas heat, pollen and ragweed inside the one-million-square-foot La Plaza Mall, the International Museum of Art and Science and the historic Cine El Rey Theatre. Positioned directly on the primary migratory path between North and South America, McAllen is also the premiere bird and butterfly watching city in the U.S., available at the World Birding Center if you dare step outside. Average rental prices for a one-bedroom in McAllen come in at $749 per month. And on the other end of the scale, the best city in America for those with spring seasonal allergies is the fresh mountain air of Denver. 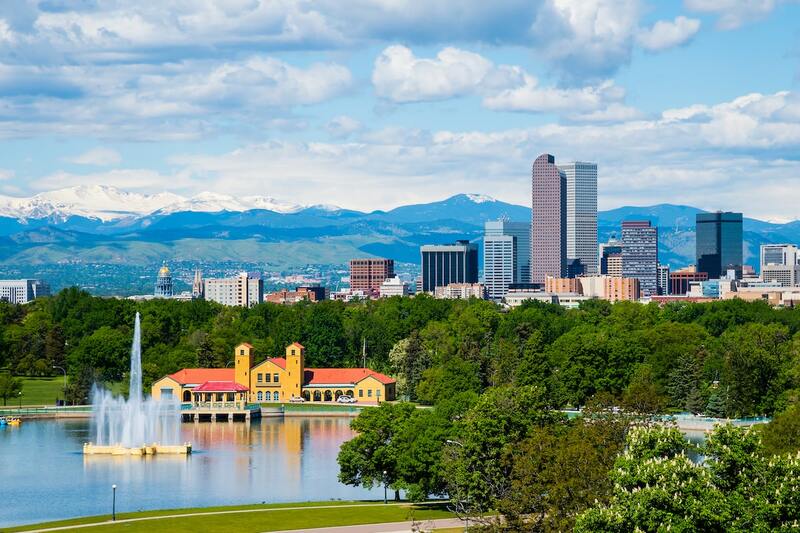 Thanks to clear skies and crisp air at high altitudes, prevailing winds off the Rockies, low humidity levels and a high per-capita rate of doctors, Denver is an allergy sufferers paradise. So, for those that want to get out and enjoy the gorgeous spring weather, there’s no better place than the Mile High City. But living in Denver will cost you, with an average one-bedroom apartment listing for $1,750. The rent information included in this article is based on March 2019 multifamily rental property inventory on ApartmentGuide.com and Rent.com and is used for illustrative purposes only. The data contained herein does not constitute financial advice or a pricing guarantee for any apartment. 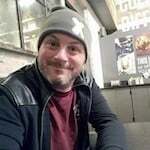 Michael HochmanMichael is a Philadelphia-based writer with a variety of interests, including music, TV, politics, travel, and sports (Fly Eagles Fly!). His background includes a decade as a programming executive in network television, six years as a marketing executive at a technology company, and time at two magazines and two advertising agencies. He also sits on the board of a non-profit law firm that assists veterans with disabilities. Michael is a proud Syracuse grad (Newhouse) who has lived in Kansas, Chicago, Saratoga, and beyond, and can be found at @phillyparttwo. While there may be nothing better than a long, hot shower, it can cost you big bucks.